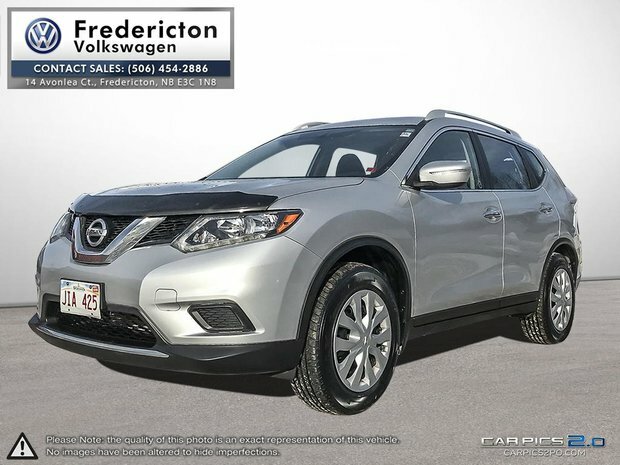 LOCAL TRADE | CLEAN CARPROOF | EXTRA SET OF WINTER TIRES ON STEEL WHEELS INCLUDED | This Nissan Rogue was recently traded into Fredericton Volkswagen and is in great shape. It comes equipped with a multi-function steering wheel with Bluetooth integration and cruise control settings, sport mode, All-Wheel Drive Lock, power windows and doors, XM Satelite radio, rearview camera, USB, AUX, air conditioning, Brand new All-Season tires, brand new front brakes and also a set of winter tires on black steel wheels that came with the trade. Financing available. 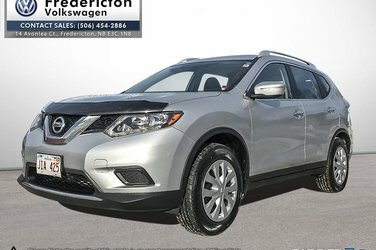 Give us a call (506-454-2886) drop by, or visit our website to book a test drive. www.frederictonvw.com. Ask about our "OUT OF TOWN BUYER'S PROGRAM".